PARTY, EVENT & TENT RENTAL COMPANY. 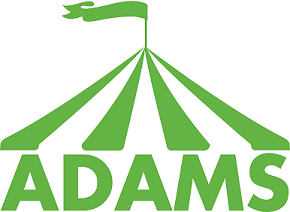 Ask our clients about Adams Party Rental and you will often hear the words ‘friendly’ and ‘reliable’. While those characteristics fit, we also define ourselves by what we’re good at, what we call our Core Competencies: Understanding client’s vision. Managing event logistics. Overcoming challenging site demands. Meeting deadlines. We believe that clients deserve a high-quality experience, from start to finish. Call or visit our showroom to speak with an Event Consultant. With facilities in Hamilton and Flemington, we provide excellence in event execution. By definition, the rental industry is a GREEN industry. The practice of sharing tools and equipment among neighbors has evolved into what has become an organized industry of more than $50 billion in the United States. Adams Party Rental is committed to being a responsible company, a solid corporate citizen and a good neighbor. We have taken steps to conserve energy and reduce waste. We save paper by using whiteboards to display meeting agendas and project lists. Linen hangers are re-used. Branded linen bags are processed and re-used. We provide blue recycling containers to customers for events. In addition cardboard, paper, plastic and aluminum are placed in containers by employees for recycling at both Adams facilities. All overhead light fixtures at Adams have been changed to high efficiency T5 and T8 lamps. Motion detectors turn lamps off if no one is working in areas of our building. This saves more than 50,000 kWh per year. Adams has installed high efficiency tank-less hot water heaters that provide hot water on demand and save energy. After super storm Sandy we provided tents, flooring and roll-away beds for recovery crews.